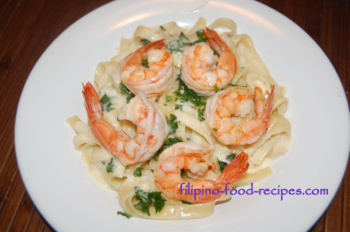 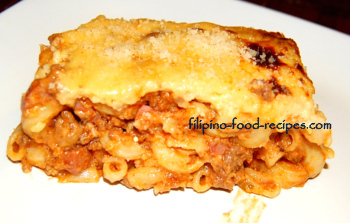 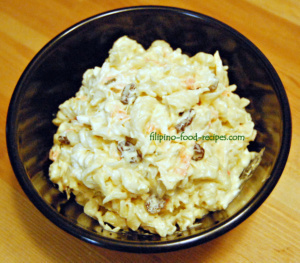 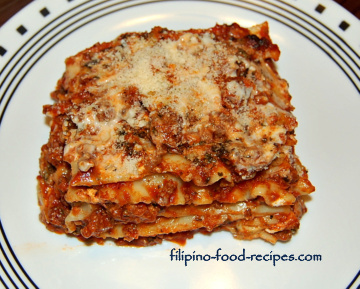 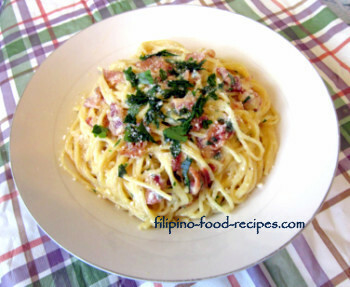 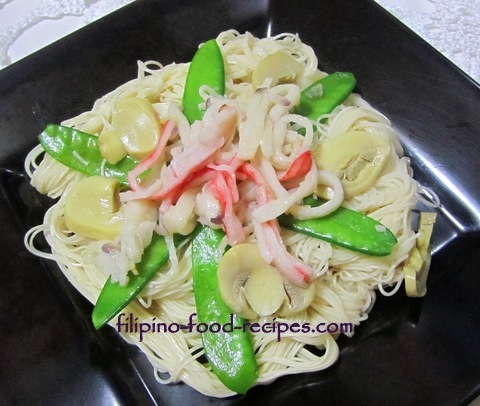 Filipino recipes for Pancit and Pasta include sauteed Bihon, Canton, Miki, and Sotanghon(Vermicelli) -- or the Filipino Spaghetti, Baked Macaroni and Lasagna, and a whole lot more. 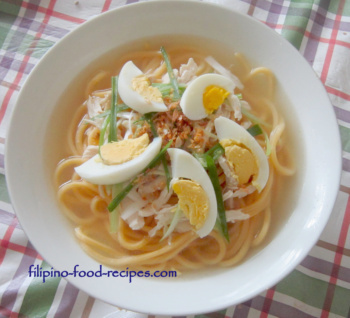 The popular dishes like Pancit Bihon and Filipino Spaghetti, which use long strand noodles, are essential part of every Filipino Birthday party. 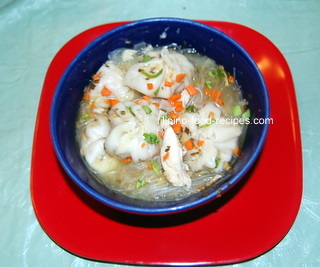 They are believed to signify long life. 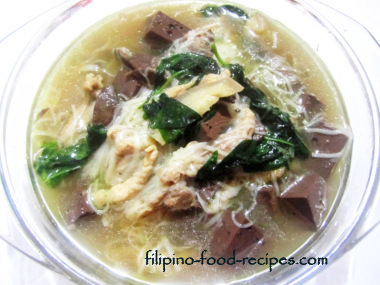 Noodles with broths like Sopas, Sotanghon Soup, Pancit Molo or Misua are usually served for breakfast or during a cold or rainy weather. 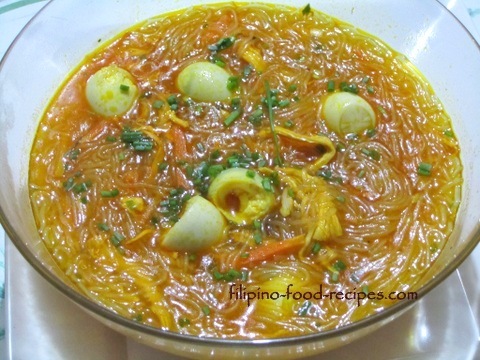 Have you ever seen any other culture where noodles are paired and eaten with rice and nothing else? 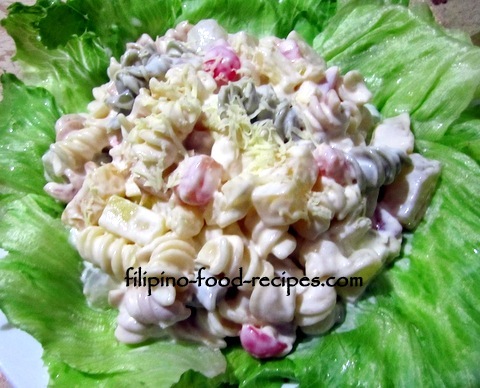 Have you ever seen any other culture where noodles like Pancit Bihon and Pancit Canton are sandwiched between breads? 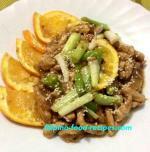 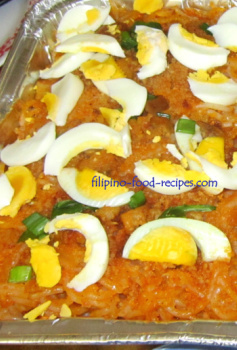 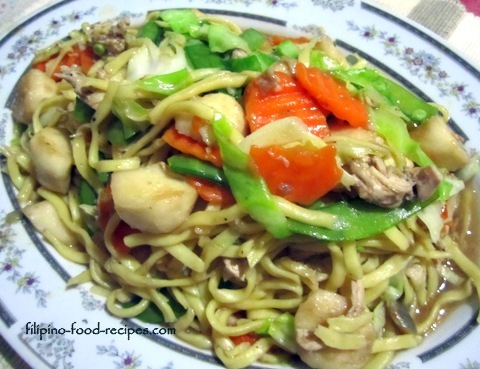 Pancit dishes are not necessarily a replacement for rice or bread in most households. 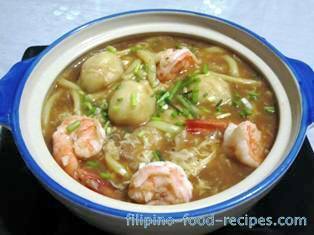 They are add-ons and are sometimes eaten alongside rice and other meat dishes.